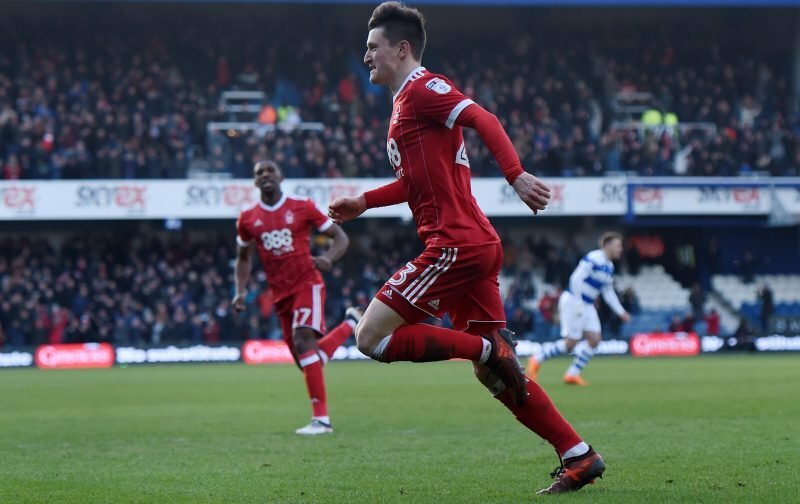 Nottingham Forest fans were delighted to hear that Joe Lolley was named the PFA Championship Player of the Month, winning 36% of the supporters’ vote. The 26-year-old was in fine form in October, scoring and creating five goals in as many league games to help the Reds in their bid for the playoffs. Every side needs a joe lolley we had Huddersfield pants down with 500 k transfer fee ???????? Brilliant – so well deserved. Great to see you really enjoying your football! And he cost us 450k… what a bargain ???? Well done, keep up the hard work! Lolley has made 16 league appearances this season, scoring four goals and making two assists. His best form has come from the left-wing and he’s been rewarded for his efforts over the past few weeks. The England C international still hasn’t been at Forest for a year after his move from Huddersfield in January, but he’s making a real name for himself in 2018/19. The winger has already surpassed his collective goals and assists tally from last season in one fewer game and could hit double if he continues his form. In October, Lolley scored in Forest’s 2-2 draw with Millwall, scored and assisted two goals in the Reds’ 2-0 win over Middlesbrough, netted once in a 3-0 victory against Bolton and assisted a goal in the 1-1 draw with Leeds. Aitor Karanka will be delighted with his productivity of late and will hope it continues to keep Forest in the top-six.